Clearance Shoes | Charcoal Moc Toe Oxford | Nunn Bush Esker Jr. The Esker Jr. is a moc toe oxford. The upper is man-made and mesh. This shoe features a hook-and-loop closure for comfortable fit. 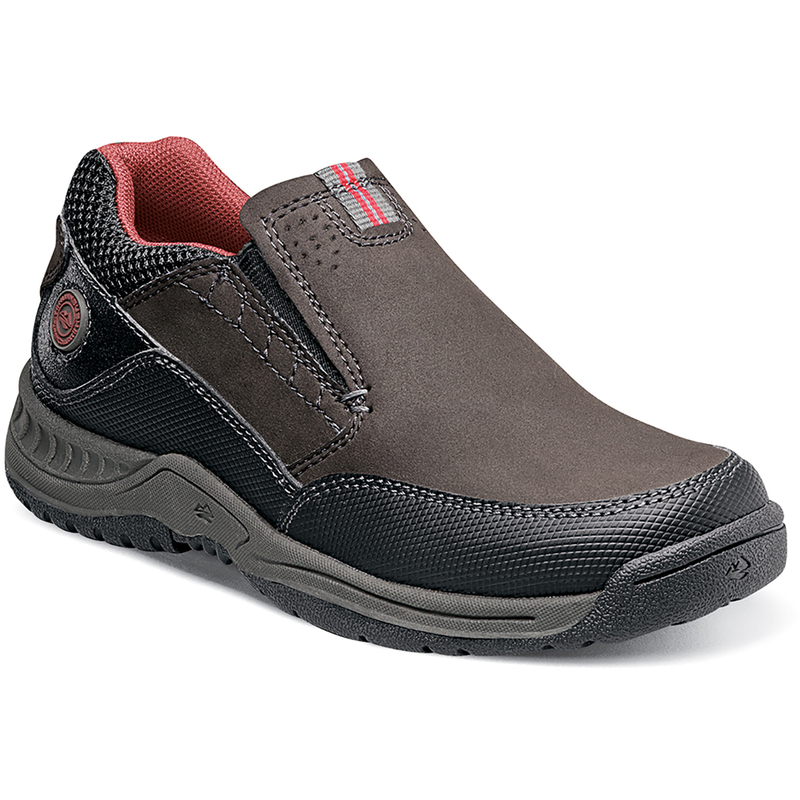 The sole is non-marking, slip-resistant rubber.